The kefir used to determine the nutrition value was made with vitamin A & D fortified 2% milk. Use 5 g of starter per litre (quart) of milk. Heat 1 litre of milk to 180°F (82°C) or bring to the boiling point. Cool to 73-77°F (23-25°C). Dissolve 5 g of starter in a small amount of the cooled milk in a cup. Pour back into the litre of milk and mix well. Pour the inoculated milk into a clean container, then cover and let stand at room temperature until curd forms (approximately 24 hours). Refrigerate about 8 hours to stop the process. Stir to liquefy and enjoy. 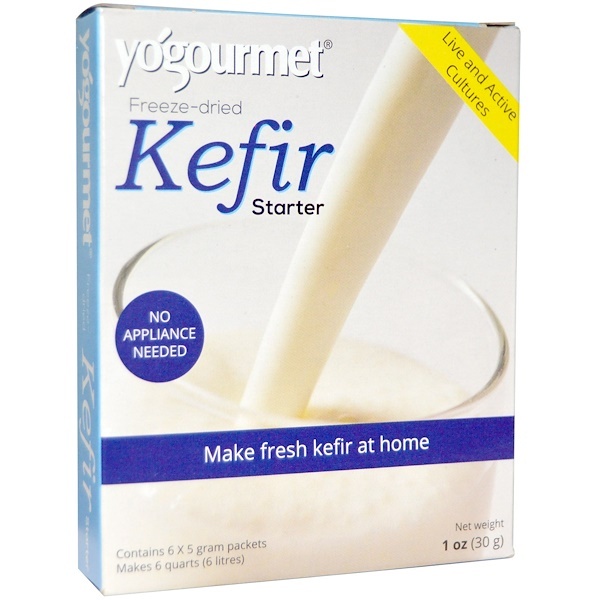 Always store kefir in the refrigerator. Use with cow, goat or soy milk. Results with soy milk may vary. Active bacterial culture (L. lactis, L. cremoris, L. diacetylactis, L. acidophilus), includes lactic yeasts, skim milk powder. 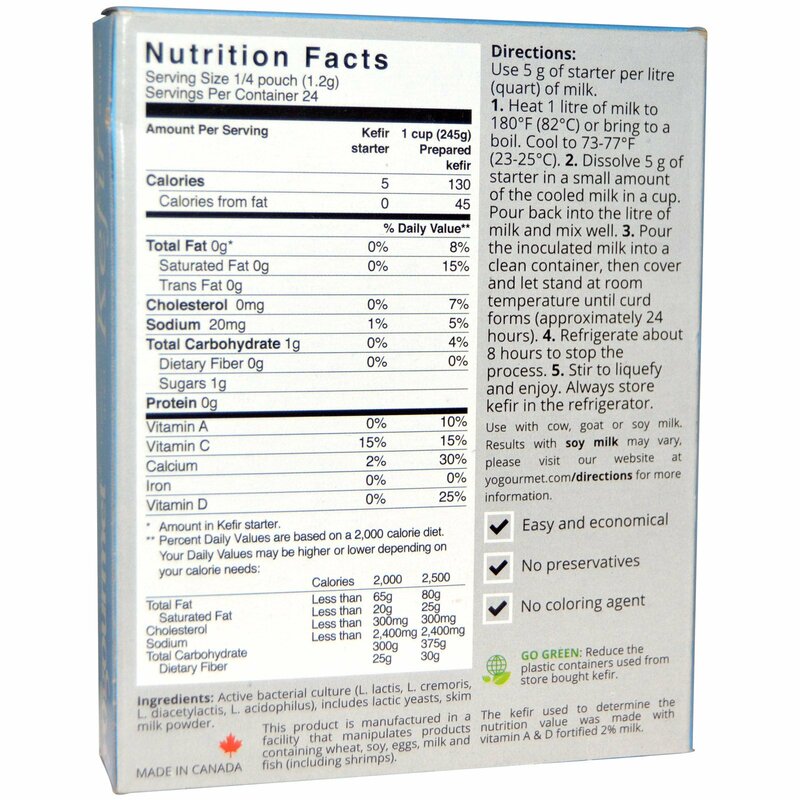 This product is manufactured in a facility that manipulates products containing wheat, soy, eggs, milk and fish (including shrimps). * Amount in Kefir starter.